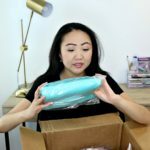 As a diagnosed fabric addict, I want to also contribute to your dependence by sharing my online shopping haul for December 2016. SUBSCRIBE FOR WEEKLY VIDEOS! 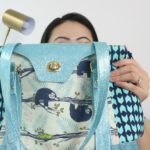 As a diagnosed fabric addict, I want to also contribute to your dependence by sharing my online shopping haul for July. 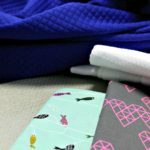 Looking for a quick and easy sewing project that’s good enough to eat? 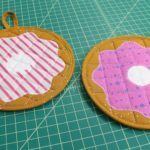 I made these cute donut potholders in one evening (which is lightning speed for me!). How was I supposed to know posting a late night photo on Instagram would lead to auditioning for an ABC game show?